I’ve been meaning to write about this for quite a while. When Apple shipped the amazing iPhone X Apple enthusiasts couldn’t wait to have them. Those enthusiasts are the kinds of folks some would refer to as fanboys. I think they just love to have the latest greatest device they can get their hands on. Maybe that does make you a fanboy? I don’t know. It does mean these folks either have a lot of disposable income or, like a meth addict, are willing to do anything to get the latest device. I love Apple products but don’t feel the need to purchase the latest greatest device on the market. As Apple enthusiasts go I’m a failure in that regard. I own a 2015 MacBook Pro, an iPhone 7, an iPad Mini (first generation), and an Apple Watch (first generation.) On the Ticci Scale I’d rate an Inferior, or worse. That brings me to the purpose of this post. If you’ve always wanted an iPhone but the prices seem ridiculously high to you consider getting an older model. Yes, an older model. The iPhone 7 and iPhone 8 are wonderful devices. I’m still using my iPhone 7 everyday and I don’t see upgrading for quite a while. Apple focused on performance and stability with the release of iOS 12 and it shows. The OS is really fast and fluid, even on older devices. I purchased an iPhone 5s for testing purposes and it performs really well on iOS 12. The OS is the important part of the equation and iOS 12 is an exceptional OS. If I were to purchase a new iPhone today I’d pickup an iPhone Xr. The starting price is not as offensive as the price of the Xs, I prefer the aluminum body over glass, and I like being able to choose a color. Yellow sounds nice. If you want a new iPhone but don’t want to spend a lot of money consider purchasing an iPhone 7 or iPhone 8. The pricing is pretty good and you’ll have a great phone for the next two to four years. As I’m writing this Apple is offering a great deal on the iPhone Xr if you trade in your existing phone. Of course that comes with an *. If you get the full trade in value on your existing phone you can get the iPhone Xr for $449. That’s a wonderful deal. As for me the best value I could get for my iPhone 7 is $250. That drops the price of an Xr to $500 for me. Not bad at all. I don’t like to install beta versions of iOS on my daily driver device so I tend to use old devices I have left around from years past. 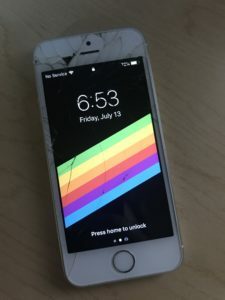 This year, however, I didn’t have a device capable of running iOS 12, so I bought a used one on Letgo. 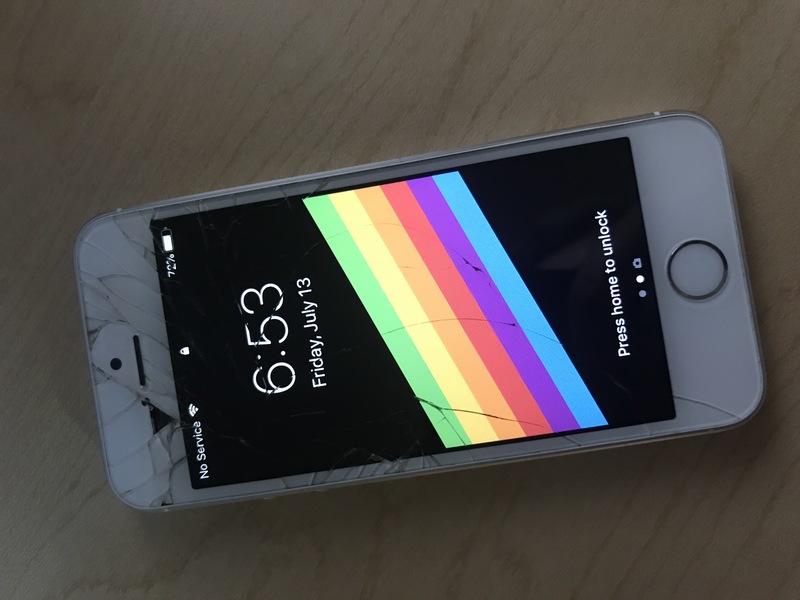 For $60US I was able to purchase an iPhone 5s with a cracked screen that works just fine. I decided to pickup a new screen from iFixit for another $40US. All in, $100US and I have a great new test device. It actually runs iOS 12 really well. So, if you’re short on cash, try a used device for testing. Sigh. This just had to happen in Fresno, didn’t it? Why doesn’t Apple improve on the iPod Touch every couple years? Why not take older chip sets — maybe a model from last years iPhone — and leave the form factor alone? Just keep stuffing updated tech into the existing design. There are folks that can’t afford to buy their kids an iPhone but the iPod Touch may fit nicely into their budget. As a developer this is also a nice machine for testing. The only issue I see is it hasn’t been revved in a long time. It’s still using an A8 processor but it is still slightly ahead of the iPhone 5s which uses an A7. that’s important because the iPhone 5s is the lowest end iPhone that supports iOS 12. That means we could get another couple years use out of the current generation iPod Touch. The iPod Touch with 128GB of storage sells for $299US. Fingers crossed Apple updates it soon. I like to visit a local Starbucks when I’d like to get out of the house while working. When I do I have a habit of counting the devices I see around me and what type they are. Are they MacBook’s are they PC’s? I’ve run across a fair number of folks using touchscreen Windows boxes, most notably Surface Pro’s. They’re great computers. The display is basically a tablet with a detachable keyboard. Think about iPad Pro with an Apple Keyboard. Yeah, just like that, but in this case the computer is running full blown Windows. I know it’s blasphemy to you like Windows in the Apple ecosystem, but I really do like the Windows Operating system and Microsoft’s developer tools. They’re both top notch. If I were writing Windows applications everyday I’d pick up a Surface Pro as my daily driver. It would be powerful enough for building code and I could detach the keyboard and use it as a tablet. Oh, did I mention the Surface Pro has a pointing device? That’s a big bonus for fine grained selection. In conclusion you can lump me with the “I’d love to see a MacBook Pro with touchscreen or a new product based on iOS that is deeper, richer, than ever before” crowd. A version of iOS with a trackpad and mouse pointer that can run Xcode — optimized for iOS — and other tools. If Apple drops an orange MacBook Pro on the market, oh my. Take my money, as long as the keyboard works. a sweet, yellowish paste of ground almonds, sugar, and egg whites, often colored and used to make small cakes or confections or as an icing for larger cakes. a new Apple Framework for building Mac and iOS Apps from the same source code. A unified Apple Framework makes sense. By this time AppKit is fairly old, it began life at NeXT and moved forward as Apple’s new framework on macOS. When Apple created iOS it made sense to reconsider the user interface and user experience for a touch based interface. Having support for mouse clicks and menus didn’t make a lot of sense for something so small controlled with your finger. Enter UIKit. To say iOS became a shooting star, Apple’s crowning achievement, would be an understatement. It’s wildly popular amongst users and developers alike. So much so Apple has kind of pushed macOS into the background and allowed its younger brother to take center state. It’s not that macOS isn’t popular — because it is — it’s just that iOS is much, much, bigger than anyone could’ve estimated. As a result Apple spends most of its time working on iOS, or at least it seems that way. In the episode Marzipan: Apple’s Next Big Software Thing! of Rene Ritchie’s VECTOR he discusses Marzipan with a lot of well known developers and writers. None of the folks go as far to think Apple could be making a monumental leap forward with Marzipan. What if Apple goes all in on a brand new framework completely written in Swift? I know it’s not likely to happen, but what if it does? Obviously that would be hugely upsetting for the Mac and iOS ecosystem. But on the flip side it would give developers a clean slate to work with. Something designed to work for touch and mouse and keyboard input. It would give Apple the chance to shake off years cruft and reimagine applications and frameworks without the constraints imposed by Cocoa or Cocoa Touch. Am I crazy? Yes, a little. I know current developers — especially Mac developers — would lose their minds. It would be the second time Apple changed direction on them in a potentially radical way. This wouldn’t be quite so egregious. The move from Mac OS 9 to Mac OSX was monumental. A brand new OS and a brand new way to code, not easy to adjust to after years of working with an OS and API. Carbon eased folks into it, but the transition was still extremely difficult for some development shops, like Adobe. Of course they don’t have to go all in. I doubt they’d be that extreme. There are simple things they could do to unify Cocoa and Cocoa Touch. An extremely simple example I can think of is unifying NSColor and UIColor. Over time we’ve seen some text attributes move to their NS* counterparts, why not start with the simple things and work down the stack? I also don’t consider going from iOS to macOS cross platform. I know they’re slightly different but they are in the same family. If you’re doing iOS development macOS should feel somewhat familiar to you. Sure the controls are different on the platforms and there’s the matter of touch vs. mouse driven, but I believe calling Cocoa based applications cross platform between Mac and iOS is a bit of a stretch. If you’re taking one set of code from iOS to Windows that is what I’d consider cross platform. I penned everything above quite a while back, March 11, 2018 to be exact. While on stage at WWDC Apple announced UIKit for Mac. Four UIKit for Mac applications will ship with macOS Mojave this fall; News, Stocks, Home, and Voice Memos. This is great news for anyone interested in bringing their own iOS Applications to macOS. It means Apple is dogfooding UIKit for Mac while it’s in active development. From all reports it’s really rough around the edges but we can all hope some of those edges are smoothed out before Mojave makes its debut but it’s ok if the applications and framework are a bit rough at first. Why? Apple said on stage UIKit for Mac wouldn’t be generally available until 2019 and that it was a multiyear project. This tells me we should expect a gradual move of UIKit downward into AppKit until UIKit either becomes a part of AppKit architecturally or the Mac specific bits of AppKit become a part of the “new” UIKit for Mac. In many ways it feels like UIKit for Mac is the right direction. It’s been running on macOS for 10 years. If you’re a developer you’ve used the Simulator everyday to run your iOS Apps on your development machine. Any developer will tell you shipping software is difficult, especially if you’re driven by deadlines and not feature sets. Given Apple have already announced four applications shipping with Mojave they’re going to have to make really tough decisions to make sure these select applications are ready by fall. It seems reasonable to expect these first UIKit on Mac applications will have a decidedly wonky feel, not quite native. There will be telltale signs, little things, that drive native app seeking people crazy. Things like seeing a UIAlertController instead of an NSAlert when an app needs to inform you of something or ask a question. It makes the application feel unnatural. Getting an error on your Mac can be frightening but at least this alert feels like it belongs on the platform. At the beginning I’d expect UIKit for Mac to either reach down into AppKit to do the work or reach under the hood and use the same lower levels AppKit uses. Conceptually this is how UIKit living on top of AppKit looks. It’s a way to bootstrap your new Framework into being. Leveraging what AppKit already does seems a reasonable way to just make it work. UIKit living off of AppKit like some kind of digital vampire. As time goes by I would expect more of AppKit to move upward into UIKit. UIKit becomes the new preferred framework for building applications on Mac. Maybe it gets a new name? Maybe not? As that transformation begins taking shape we’ll see UIKit itself transform to feel native on each platform. Mac apps will feel like Mac apps and iOS Apps will feel like iOS Apps. It’s not rocket science. Applications for each OS should feel like they belong. No compromises. Hell, we can write Electron Apps if we want compromise. UIKit consumes the heart and soul of AppKit becoming the ultimate application development platform for Mac and iOS Apps. As Craig Federighi pointed out on stage at WWDC this is a multiyear effort. Expect things to be ugly at times from the user perspective and the developer perspective. In fact I expect it to be the development effort going forward for iOS and Mac UI Frameworks. Until — of course — the next shiny framework comes along. This is something I’d welcome. I’d love to see a 12-inch MacBook sized laptop running iOS that allowed touch input and mouse input. That would be amazing. I know that’s not what the article says, but it’s something I’ve been thinking about for a very long time. I think Microsoft Surface Pro is a wonderful computer and I don’t see why Apple couldn’t make something like it. Of course there will be much gnashing of teeth, but it seems an obvious compromise for a hybrid experience. Guess I’d better hurry up and finish up my Mac App so I can get started on the iOS version? 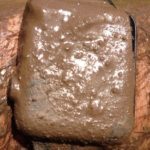 Apple Watch as an Heirloom? For some crazy reason I thought it could become an heirloom, like the watches my grandfather passed to me. Those watches are very special to me. They’re physical objects that still work and remind me of my grandpa. When Tim Cook said the Apple Watch was “The most personal device we’ve ever created” I took him at his word. It is a very personal device to me. I have great affection for all of my Apple devices, but they all feel like tools compared to the Apple Watch. I still really want a device I can wear for the remainder of my life and pass it down to someone else and have it continue to function. This is something Apple could do, if they wanted. I know I’m asking for a lot. But, if I can’t do this it means the Apple Watch is really an expensive throwaway item. Because it does feel so personal, I hate that idea. so great. It managed to last for over two years but now dies mid-afternoon. At some point I’ll take it in and hope I can get a replacement battery. I don’t want a new watch, I just want a new battery. When my iPhone 5c’s battery went bad they just replaced the entire device, which was fine with me, but I feel a need to keep my watch. The face and body are scratched and that makes it really unique to me. If there is no way to replace just the battery from now until I croak I’ll just switch back to one of my many analog watches and keep my Apple Watch Series 0 as an artifact of an interesting time for Apple. For these two it pretty much boils down to size. It’s the laptop version of the iPad. Compact, light, easy to carry anywhere. That convenience comes at a small price â€” it’s not a powerhouse. 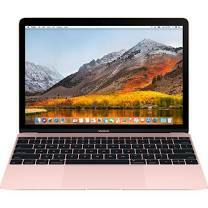 If you code for a living and can only afford to purchase one computer make sure you consider a MacBook Pro before pulling the trigger on the MacBook. Read Casey’s piece. He uses this device as a kind of iPad replacement. It’s not meant for serious development work, at least for him. I’ve heard the MacBook called the ManagerBook. That seems, based on these reviews, to be fairly accurate. It’s a super usable, fun, portable computer that could be a great choice if you have the luxury of owning more than one device. I could see purchasing one of these for my wife. She’s a full-time iPad Pro 9.7 user and on rare occasion she pulls out her ancient MacBook to do something like rip music to her collection. She doesn’t need a full computer often but the need does arise. On the flip side of all this praise for the MacBook I have a good friend recently return his MacBook and pick up an older MacBook Air because he couldn’t get past the key travel on the new MacBook keyboard.